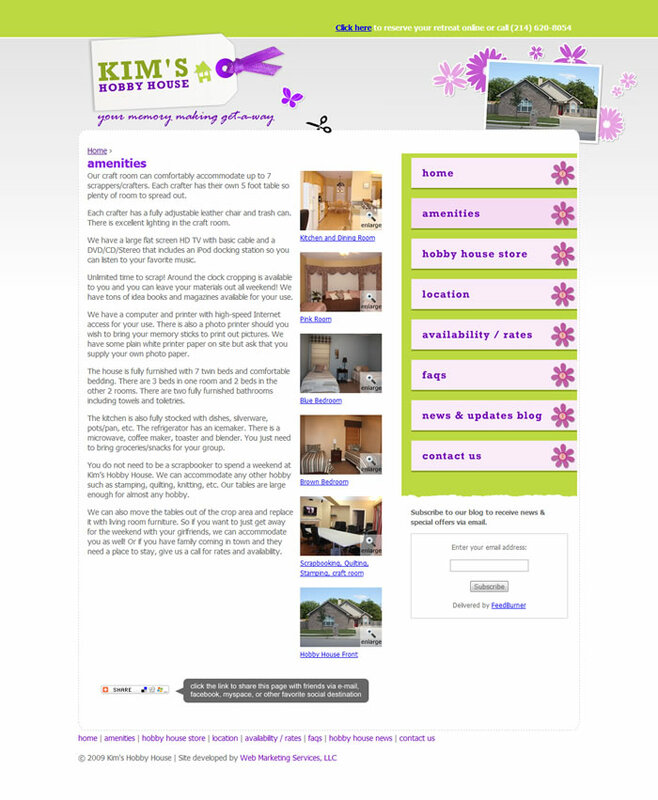 Web Marketing Services worked with Kim's Hobby House to design a site that appealed to their art savvy target audience. The bright greens and purples made for a fun and delightful feel. 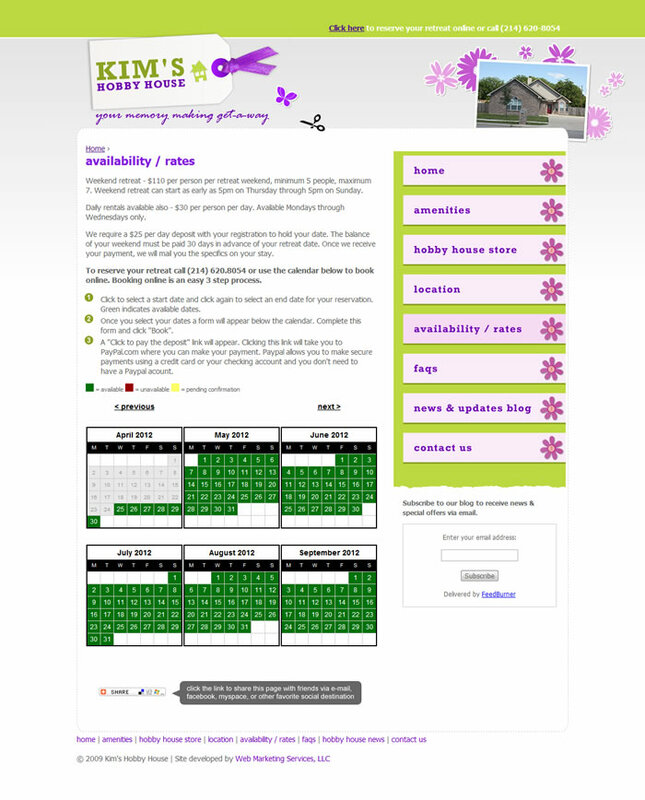 The scope of the site required a depth of functionality that allowed users to check a calendar for availability and then reserve a date online. 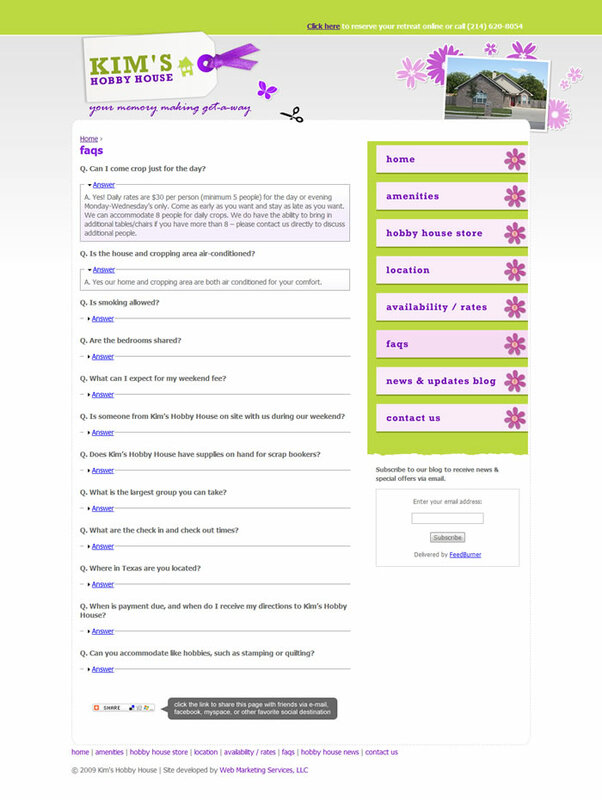 In addition, the site was built to display other useful information with a splash of eye candy here and there. "Web Marketing Services is fantastic! They knew nothing about my business but took the initiative and time to research what we were all about. They designed my website to fit my business and it turned out fabulous! Web Marketing Services was accommodating, easy to work with and had my site ready in no time. They also offered marketing ideas to help promote my new business. Web Marketing Services has the whole package – great web design and layout and helpful marketing ideas and tools. I highly recommend Web Marketing Services for your website and marketing needs."